Donkeys aren’t the only political animals that will need to consider the effect of an earlier 2020 contest held under the bear flag. 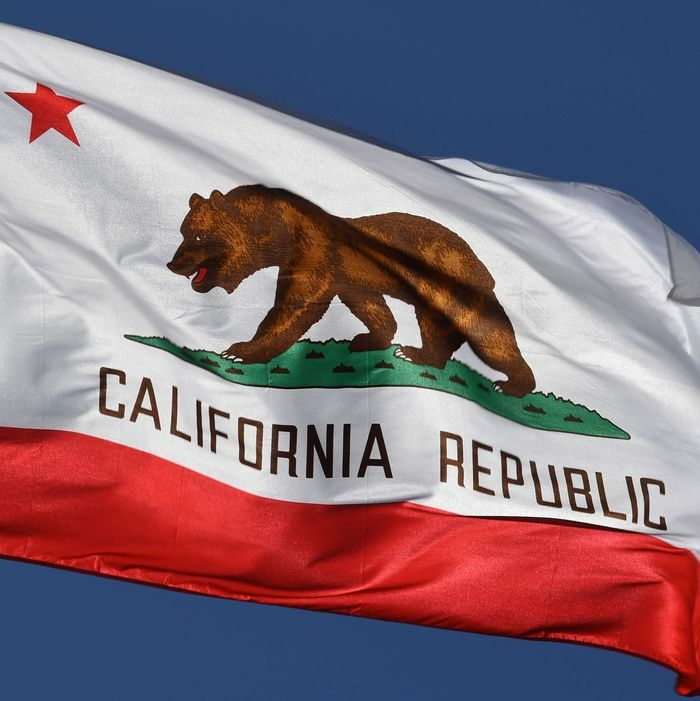 On September 27, California governor Jerry Brown signed a bill moving his state’s primaries from June to March 3 beginning in 2020. Even before Brown made it official, there was a great deal of speculation about how that could effect the 2020 Democratic presidential nominating process. With the Golden State moving up to a position on the primary/caucus calendar immediately after the four traditional curtain-raisers (Iowa, New Hampshire, South Carolina, and Nevada), it was easy to see that this gigantic state could skew the presidential field. Presumed beneficiaries: Californians themselves who were thinking about making the race (notably Senator Kamala Harris and Los Angeles mayor Eric Garcetti), and potential non-California candidates with the kind of preexisting name ID that made the state’s numerous and very expensive media markets less of an inhibiting factor (e.g., Bernie Sanders, Joe Biden, or Elizabeth Warren). The early primary could also be a magnet for nontraditional candidates with unlimited funds, such as Californians Tom Steyer and Mark Zuckerberg, or California native Dwayne “the Rock” Johnson. But the primary date-change applies to Republicans, too. For all we know, they could have a competitive presidential nominating process, particularly if Donald Trump does not run (or is not in a position to run!) for a second term. And perhaps more to the point, if Trump is facing an intraparty challenger, California could either make or break an uphill candidacy. As Michael Barone points out, the two times in recent years when California had a relatively early primary — in March 2000 and February 2008 — the state had a more emphatic effect on the GOP nominating contest than on its Democratic counterpart. John McCain’s win there in 2008 forced Mitt Romney from the race, which may have been a karmic reward for California all but dooming John McCain against George W. Bush in 2000. It’s impossible to know now if a serious Republican contest in California two-and-a-half years from now would help or hurt a presumably embattled Donald Trump. He is extremely unpopular among the state’s voters generally. But his approval rating among California Republicans was at a reasonably strong 68 percent in midsummer, and he won the June 2016 primary (just after he nailed down enough delegates to claim the nomination) with 75 percent of the vote. As 2020 approaches, the wisdom or folly of California’s Democratic legislature in moving the primary will become more apparent each day.